Photo taken in the fur loft of the old mansion house at Fort Garry, near Winnipeg. 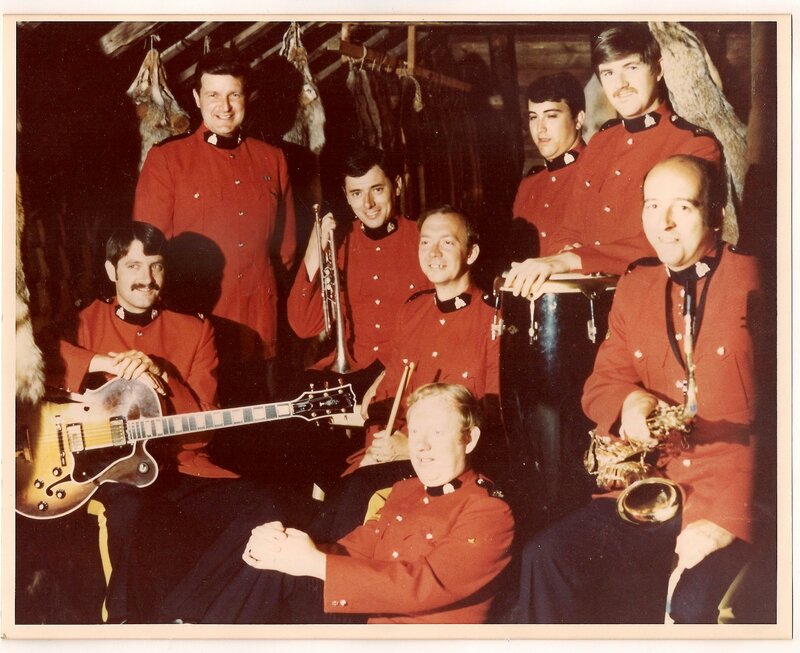 Standing – L to R Garth Hampson, Doug Thomas, Alain Lamothe, Seated L to R Pierre Shields, Val Laflamme, Bob Piche and Denis Brunet. Front – Jim Brough.